Ok, now this is cool! Scott stayed up with us all night to get this shot. It’s a 1 hour and 15 minute exposure, 30 seconds at a time. It literally tracts the movement of the stars across the sky. The free software StarStaX stitches it together making it super easy to do… other than waiting around for the exposure. But then, I’d argue, that was the best part. Thanks, Scott. You’re awesome! The pictures are great. 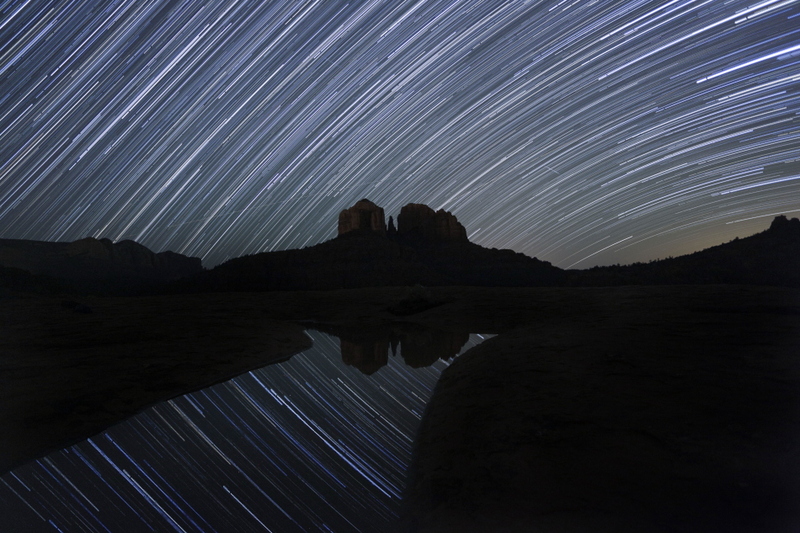 This one on Star Trails is fabulous. With the reflection, I do not think I have ever seen anything like it. Congratulations on the beautiful work. It was so good seeing you and John the other night and having the evening to gether.